The lakes and rivers of the Lakelands region provides for some of the best fishing in the world. Covering the Erne system and the Shannon-Erne waterway the region stretches from Limerick up to Belleek. Now is the time to go fishing in Ireland! 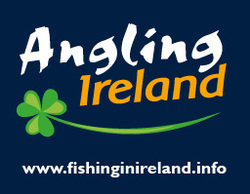 With it's huge network of rivers, canals and loughs (lakes) Ireland is the dream coarse fishing destination for the pleasure and competition angler. In the Lakelands you will be treated to great fishing; home to large shoals of Bream regularly 5-9lbs in size, dream hauls of Roach and quality Tench, Skimmers and Perch along with an increasing amount of large hybrids. And with no closed season, angling is a year round sport. Fancy a change from the UK commercials? then come to the Lakelands region and sample the great wild fishing amongst unrivalled scenery. Here you’ll also find delicious food, lively pubs and welcoming accommodation for when the bait and rods are put away. Stay central to one of the angling centres where you have the choice of a different venue every day and more. From lakes tucked 'out of the way' to the larger venues where you can park behind your swim, there are locations to suit the whole family along with those with access for anglers with a disability. Don't worry if you are a newcomer to Ireland, much of the gear required is similar if you fish the commercials. Ireland has the most lightly fished waters in Europe so many venues will benefit from pre-baiting; balls of ground bait with casters are best. Do experiment, but our best advice is keep it simple and stay active. And be sure to soak up the wealth of information available - many of our accommodations provide fishing advice along with fellow anglers and tackle shops who are only to pleased to share their tips. Not to mention the maps and information available from the Fisheries Boards. 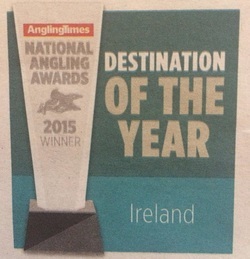 Voted the Angling Destination of the Year in 2017 - now five years running by Angling Times Readers!